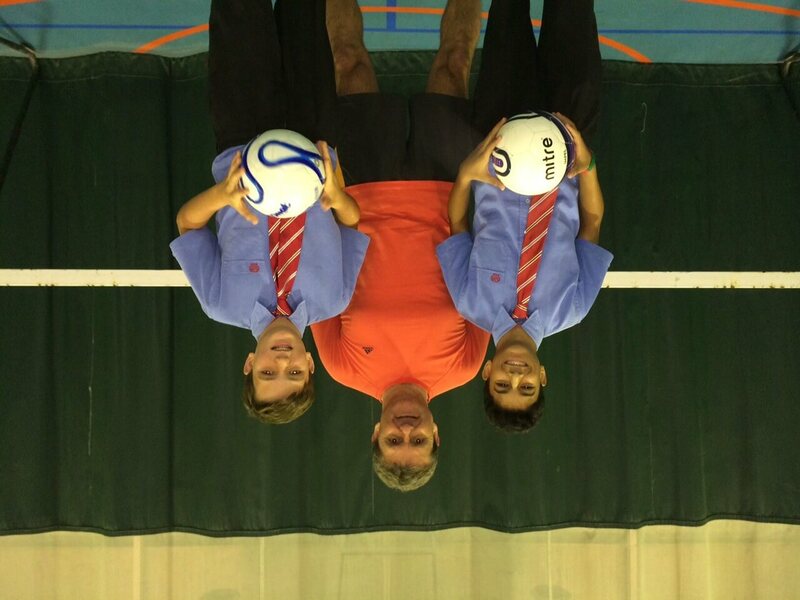 The Senior School got into the World Cup spirit in June, with a week of fun break time activities. Kicking-off the week was a Brazilian style carnival with a performance of Samba drumming to accompany a football themed disco. A playground wall was transformed with hundreds of meters of World Cup flag bunting created by students from across all Year groups in the school. On Monday 16 June, a whole school penalty shootout competition was held, with around 70 students taking part. It was a ‘sudden-death’ style shoot-out until the final round, when finalists Callum Matthews of 7H and Faris Eid of 10F faced off with five penalties each. Mr Wilson was the man they had to beat in goal and Faris Eid came out on top winning 3-1. The Drama Hall was bouncing to the sound of Zumba dance classics on Tuesday lunch, as 50 students entered a Zumba ‘Just Dance-off’. Shannon Mariani and Erika Kadissi earned prizes for the best dancers on the day. The Drama Hall was the venue once more on Wednesday as Mr Harper organized a ‘World Cup Special’ edition of his popular general knowledge quiz “Brains of Bahrain”. World Cup Week was rounded off with a Staff versus Student football match on Thursday break time, with the Sixth Form team running out 2-0 winners against the teachers. The events were organized to support Raef Tanner’s ‘Kick to Dream’ campaign, which aims to support Ugandan children through sport and education. 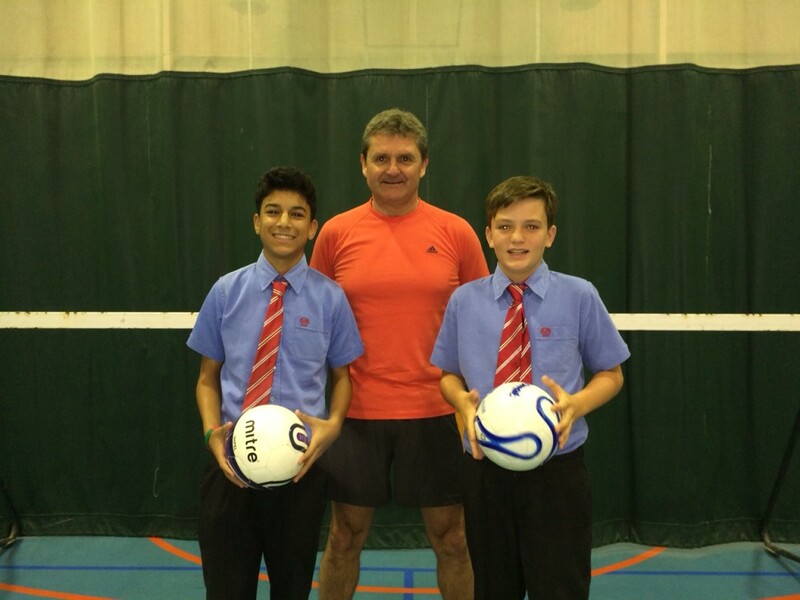 The activities raised over BD300 and Raef is visiting Uganda during the holidays to deliver football shirts donated by staff and students and to learn more about the charity and how the money will benefit Ugandan children.